Clyde Machines found here. 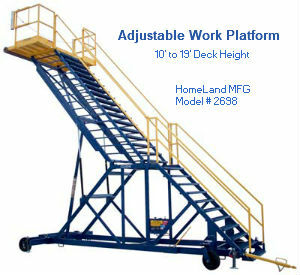 Clyde Machines is the LEADER in Adjustable Height Platforms. 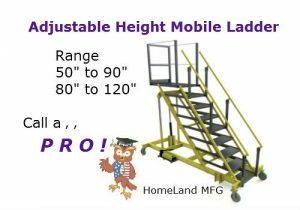 Our Clyde Machines Mobile Adjustable Height Platforms are available in many sizes. 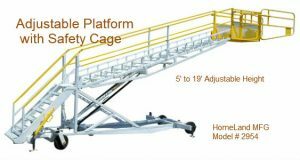 Heavy duty casters for easy mobility from job-to-job. 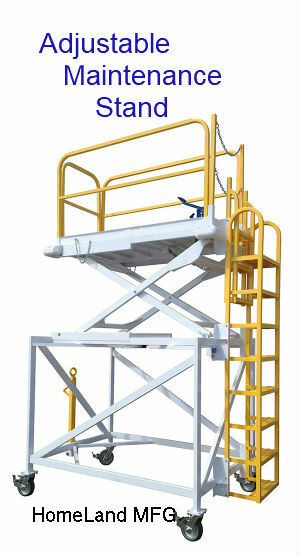 Self-cleaning steps and platform stay parallel at any height position. 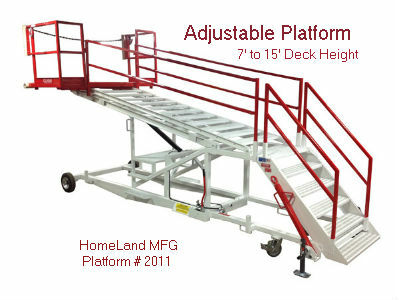 Click on Photos for More Information on Adjustable Platforms. Huge 4' x 7' Deck Space. 16" Pneumatic Casters. Removable Stair and Platform Railings. 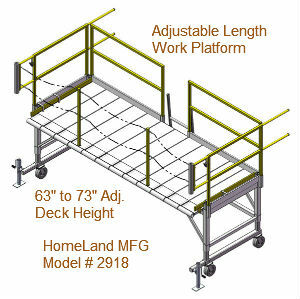 36" x 60" Decking with Swing Out Safety Gate/Handrails. Hand Adjustable Screw Jacks for Leveling. 50" x 145" Deck Area. Adjustable Pull Out Planks. Integrated Forklift Pockets in Frame. 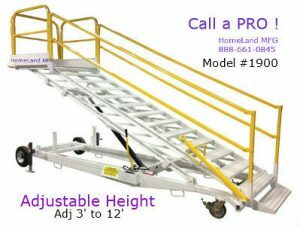 The 1900 Series is Adjustable from 3' to 12' and is available with a larger deck. 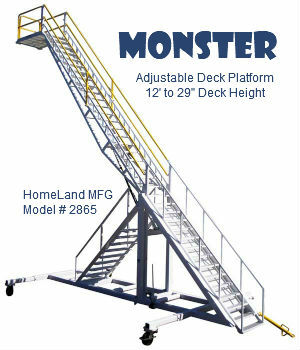 48" x 108" Deck Area. 50" Wide Grip-Strup Treads. Parallelogram Cross Bracing Keeps Steps Level.